$100,000 Research Grant Awarded | Ontario Rett Syndrome Association | O.R.S.A. London Ontario – May 5, 2017 – The Ontario Rett Syndrome Association (O.R.S.A.) Board of Directors has unanimously approved the funding of a $100,000 Research Grant to Dr. David Grynspan (Pediatric Pathologist, Children’s Hospital of Eastern Ontario, Ottawa, ON). The study is entitled “Treatment Strategies for Gastrointestinal Dysfunction in Rett Syndrome” and Dr. Grynspan’s collaborators for this work include Professor William Staines of the University of Ottawa and Dr. Sarah Schock, Research Associate at the CHEO Research Institute. This application was one of several received and evaluated by O.R.S.A.’s Research Advisory Committee that comprised of prominent neurologists, geneticists and scientists from across Canada. This study aims to identify drugs able to restore normal intestinal function in Rett mice. The goal is that this would lead to effective drug therapy for intestinal dysmotility in Rett humans, and perhaps help to develop therapies for reversing neuronal connectivity problems in Rett brains. It is a rather novel approach in that this study plans to evaluate the enteric (ie- gut) nervous system, rather than directly studying the central nervous system as in most other studies. It is felt that this study, given its novel approach and its focus on a very common area of clinical concern, would be of scientific value to the research community at large as well as of great interest to the families most directly supported by O.R.S.A. The Hope Fund was established in 2014. This is the third grant being released from this fund and the largest grant released by O.R.S.A. to date. The funds for this research grant were raised through donations and fundraising activities. O.R.S.A. continues to support research excellence and the development of a wide scope of Rett syndrome research across Canada. Rett syndrome is a neurodevelopmental condition characterized by the loss of spoken language and hand use, coupled with the development of distinctive hand stereotypies. This disorder is seen in infancy and occurs almost exclusively in females. It is usually caused by a mutation of the MECP2 gene on the X chromosome. Rett syndrome is found in all racial and ethnic groups throughout the world. It affects one in every ten thousand live female births. Early developmental milestones appear normal, but between 6-18 months of age, there is a delay or regression in development, particularly affecting speech, hand skills and gait. A hallmark of Rett syndrome is repetitive hand movements that may become almost constant while awake. Other more common medical issues encountered include epileptic seizures, muscle stiffness, osteoporosis and scoliosis. Despite its multiple handicaps, Rett syndrome is not a degenerative disease. Many individuals with Rett syndrome live long into adulthood. There is currently no cure. The Ontario Rett Syndrome Association (O.R.S.A.) exists to ensure that children and adults with Rett syndrome are enabled to achieve their full potential and enjoy the highest quality of life within their communities. The O.R.S.A. is a volunteer, not-for-profit charity for parents, caregivers, researchers, medical professionals and other interested support agencies and individuals. O.R.S.A. became incorporated in 1991. Its Board of Directors is comprised of parents and caring citizens. O.R.S.A. provides information through a website, a newsletter and conferences. Support is provided to families regionally. The association funds Canadian research projects, three Rett Syndrome Clinics, a resource centre and developed the Canadian Rett Syndrome Registry. O.R.S.A. advocates to the needs of individuals with Rett syndrome and their families provincially and nationally. David Grynspan is a Pediatric Pathologist at the Children’s Hospital of Eastern Ontario. He obtained his MD degree from the University of Toronto in 2000 and completed his residency in Anatomical Pathology at the University of British Columbia in 2007, followed by a fellowship in Pediatric Pathology at Wayne State University and The Children’s Hospital of Michigan in Detroit, Michigan. From 2007-2009, Dr. Grynspan was a staff Pediatric Pathologist at The Winnipeg Health Sciences Centre and The University of Manitoba. Dr. Grynspan has been a staff Pediatric Pathologist at The Children’s Hospital of Eastern Ontario (CHEO) and the University of Ottawa since 2009 and has been conducting research on the enteric nervous system since 2009. His interest in the neurological basis of intestinal dysfunction in Rett syndrome was sparked by clinical observations made by Dr. Peter Humphreys who is a role model and mentor. He is also fortunate to have been mentored in neuroscience by Professor William Staines at the University of Ottawa, with whom he formed a collaborative team that was the first to show expression of the Mecp2 gene in intestinal neurons. 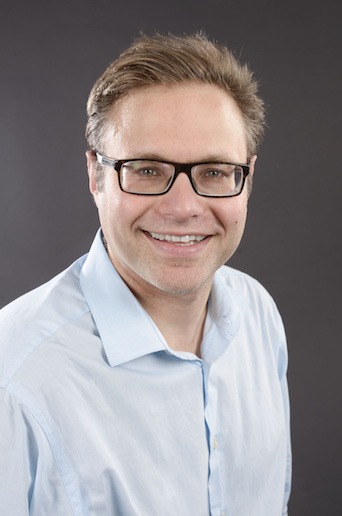 Aside from his research, Dr. Grynspan’s other academic interests include teaching and he is a member of the Pathology Residency Training Committee and the Maternal-Fetal Medicine Fellowship Committee at the University of Ottawa. David and his wife Karen have three daughters, Stella, Gabriella and Sophia. His hobbies include swimming and poetry.